TIME, Ally and the NADA are very honored to present the 50th Anniversary of the prestigious TIME Dealer of the Year Award. 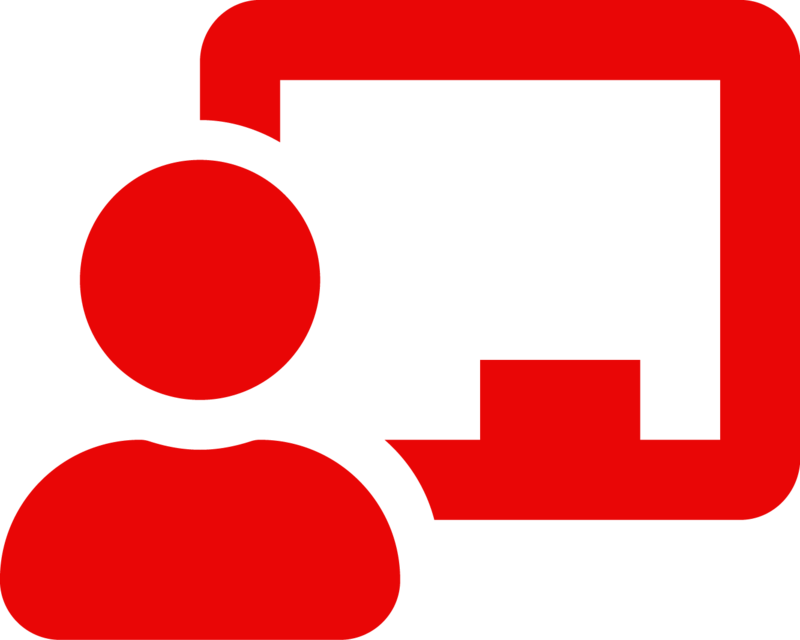 As a true mark of excellence, the TIME Dealer of the Year award recognizes exceptional performance and outstanding community service that is an inspiration to us all. 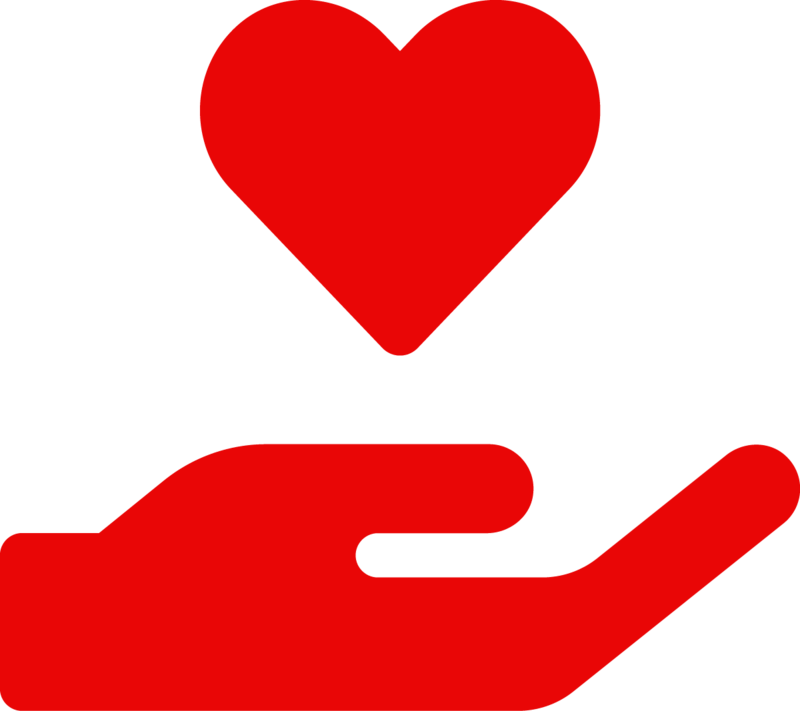 By presenting this annual award, TIME, Ally and NADA honor new-car dealerships across America and their tireless efforts to improve their communities and the world around them. CONGRATULATIONS to the 2019 TIME Dealer of the Year, John Alfirevich, of Apple Chevrolet in Tinley Park, Illinois. 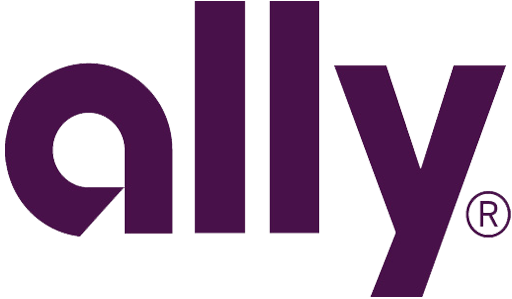 Ally and TIME have enjoyed a six-year partnership that celebrates award-winning service and performance that make the world a better place. 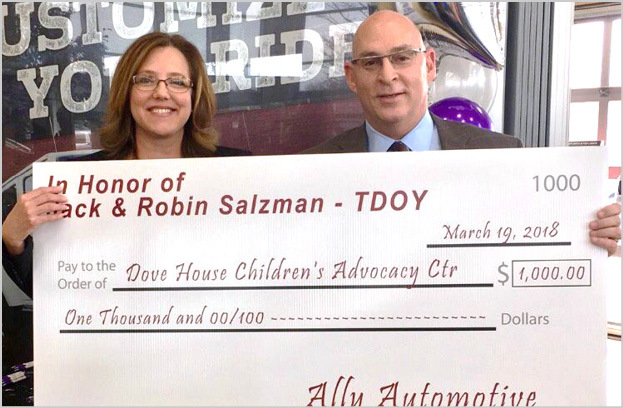 Jack Salzman, the current TIME Dealer of the Year chooses to support Dove House Children’s Advocacy Center as a part of his way to give back to the community. 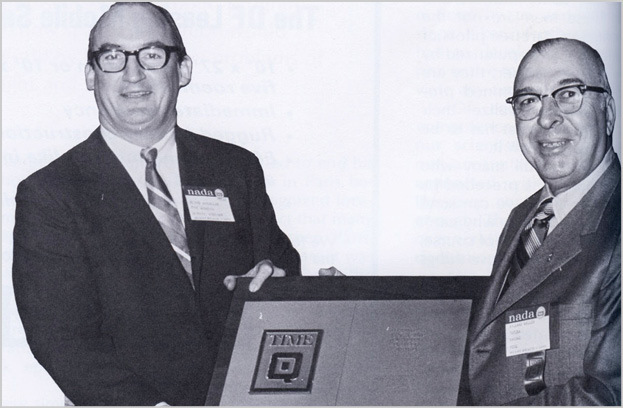 The first Time award winner: Ford dealer O. Willard Noller of Topeka, Kan. (right) with TIME’s George W. McClellan. 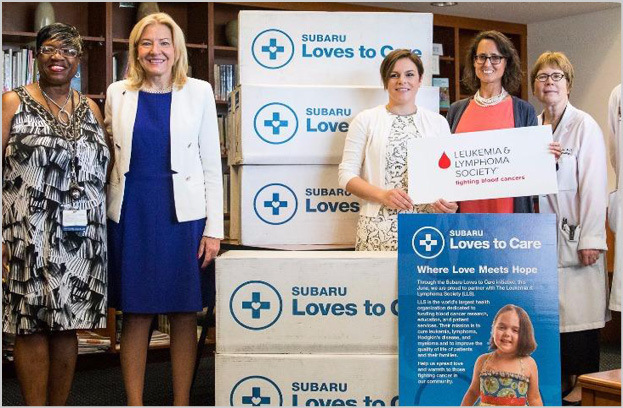 Kitty Van Bortel, TIME’s 2016 winner and 3rd ever female Dealer of the Year, supports the Leukemia and Lymphoma Society. 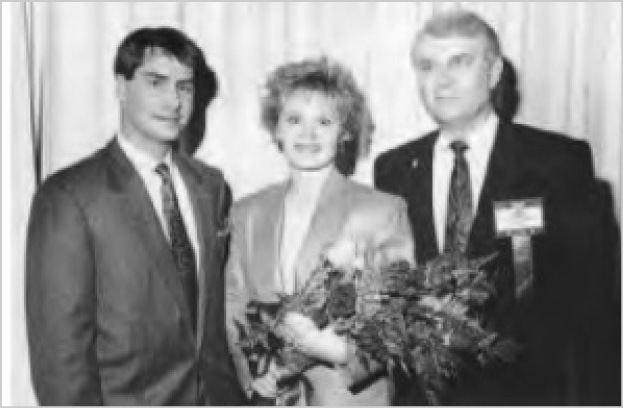 Time Dealer of the Year Jim Lupient (right), with wife Barbara and son Rick (also a dealer). 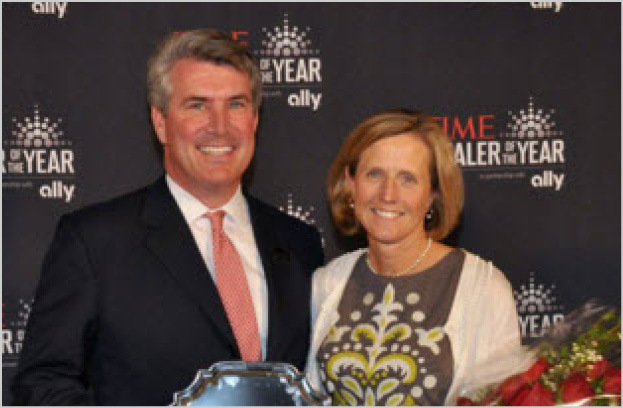 Time Dealer of the Year, Michael Alford with his wife, Alicia. 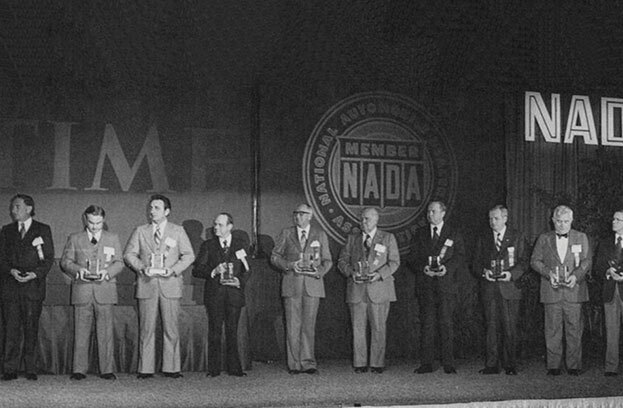 TIME award winners line up on stage at the convention in New Orleans. 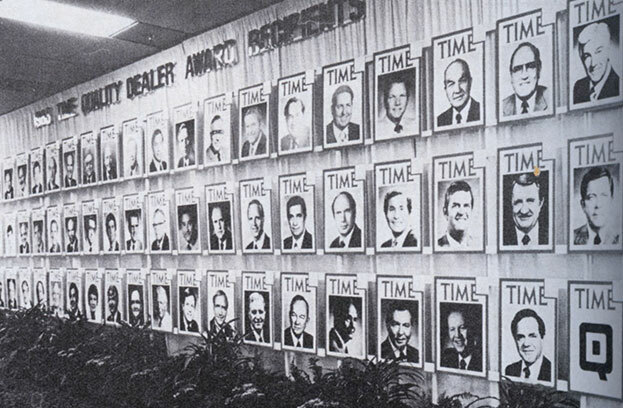 In the entrance hall to the 1984 NADA Convention, nominees’ faces appear on TIME cover mock-ups.